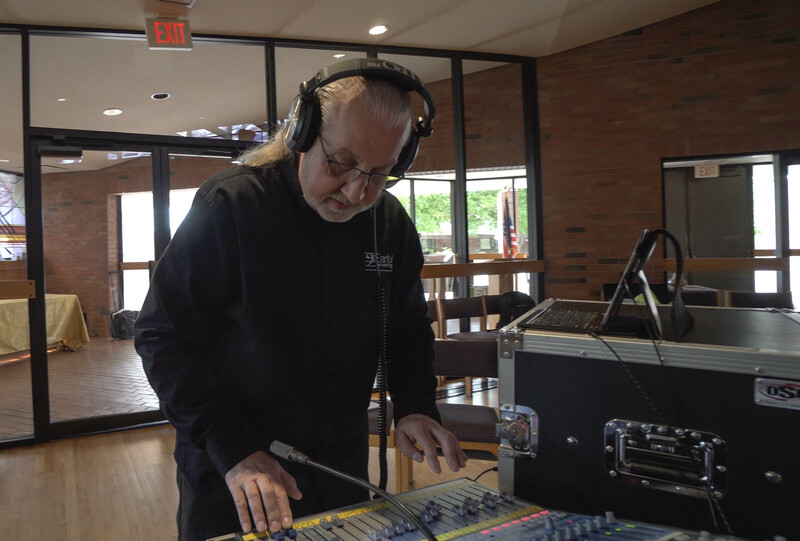 As any audio engineer will testify, recording a live performance is not for the faint of heart. It's a world rife with unpredictability, from the environment to the spontaneity of the performance itself. And within that world, even fewer engineers dare to tread into the realm of symphony orchestras and acoustic performances, where the demands are even more pronounced. Jim Stern has been happily inhabiting that world for more than 30 years. The owner of Earful Recording, Stern spends his days creating scrupulously pristine live recordings of some of the most challenging performances. "My specialty is recording symphony orchestras and acoustic instruments string quartets, woodwind octets, a lot of classical music," he relates. "My recordings are basically live to two track recording it live, mixing on the fly, live. I love it; it's what I live for!" "I'm very fortunate to work with the level of musicians I record," Stern continues. "These are consummate professionals who want to have an authentic and accurate recording of their performance. They don't want to create a multitrack production with overdubs; they're looking for a real representation of their work." From symphony halls and church sanctuaries to outdoor band shells, Stern's environment is always changing. "Every room is different, every ensemble is different," he observes. "Each one requires different microphone setups, different preamps, and different peripheral equipment." But, says Stern, there is one part of the recording chain that doesn't change. "Once you've chosen those front end pieces, the one constant for me has to be my recorder. The recording medium is what tells you honestly how the tracks are going to sound." And for most of his career, Stern's recorder of choice has been Tascam recorders. "I've been using Tascam recorders for years, especially the DA-3000," he confirms. "It's a one-bit recorder that has really made my life easier. A symphony orchestra has a huge dynamic range, from the tiniest squeak of a violin to a massive wall of sound. With the DA-3000's one-bit format, I've got 117 dB of dynamic range it's all captured." Dependability is another critical factor, says Stern, and another area where Tascam delivers. "Because we're moving our systems around all the time, we need to have equipment that's reliable. If you're recording a symphony orchestra and your equipment fails, you won't be invited back." Ultimately, Tascam recorders have earned their place at the core of Jim Stern's live recording system. "I've been using Tascam recorders for more than 30 years. It just sounds right."